Clear Valve Covers - EVERY CAR SHOULD HAVE IT! Cool IDEA Of How To Do It! - Muscle Cars Zone! Clear Valve Covers – EVERY CAR SHOULD HAVE IT! Cool IDEA Of How To Do It! To be honest, whenever someone would ask something about the Clear Valve Covers ! Our answer would always be as positive as it could! Our opinion is that every car should have clear valves and in the video underneath the text, you will even see why! 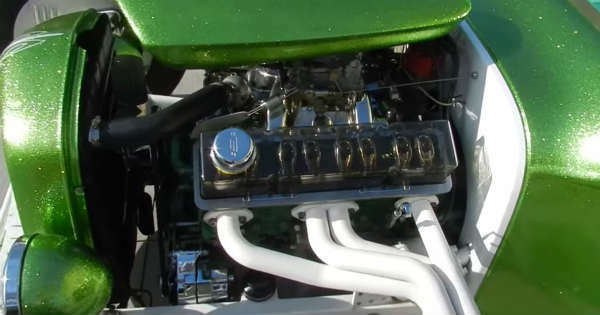 We don`t know about you, but we feel like being hypnotized when we watch a V8 valvetrain as it does its job. However, if you are not adjusting the valves, your rocker arms are simply hidden under a certain snappy set of valve covers! One thing is for sure, if you are able to change your own oil, you are also able to adjust your valves! On the footage underneath, you have a small-block Chevrolet V8 proudly presented by its owner! What he did is absolutely amazing!!! He bottled a set of clear covers and what he got is internals that jump as the throttle opens! It`s definitely beyond cool, it`s magnificent! There is one problem though, the plastic might not keep long due to the heat. What do you think? Please share your thoughts with us on this amazing Clear Valve Covers and please share this post with your friends on all the social media.